Today's blog looks at our £50 million investment in school places for children with special educational needs alongside £680 million to build more school places and the introduction of T Level qualifications. Today, Tuesday 29 May, the department announced a £50 million investment to create more special educational needs school places. We also announced £680 million of funding for local authorities for 2021 to create more good school places. BBC Breakfast interviewed Minister Zahawi this morning. This has also been reported on by the Telegraph, Express, Sun, Daily Mail, Times, Metro, Independent, Daily Mirror and BBC online. Every local authority will benefit from the £50 million investment to support children with special educational needs. Alongside this, the Government announced the funding allocations for local authorities for 2021 to create more good school places. This £680 million investment will create 40,000 more good school places in primary and secondary schools. This builds on the 825,000 new school places created since 2010. All parents want to send their child to a good local school, one that meets their individual needs and supports them to achieve their full potential, regardless of the challenges they may face. 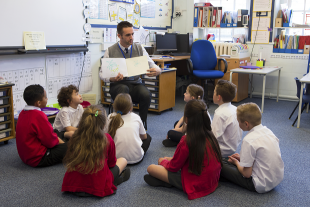 This funding will help to create thousands more school places across the country, with a clear focus on transforming the experience of education for children with special educational needs or disabilities (SEND). On Sunday 27 May, we announced the first 52 colleges and post-16 providers across England that will teach the first T Levels from 2020. This was reported widely, with the Secretary of State appearing on the Andrew Marr show to discuss it. Minister Milton was also interviewed on ITV’s Peston on Sunday and BBC 5 Live’s Pienaar’s Politics. BBC Breakfast interviewed Alison Birkinshaw, the principal of York College who was very positive about the plans, describing them as “a bold opportunity to improve technical education and invest in it”. BBC online, the Telegraph, Sun, Express, Independent, Mirror, Times and the Financial Times all covered the announcement. The Sun described the introduction of T Levels as a “welcome move” and “a proper boon for our economy”, and the Express called the announcement the “biggest schools revolution in 70 years”. T Levels represent a once in a lifetime opportunity to reform technical education in this country so we can rival the world’s best performing systems. For too long young people have not had a genuine choice about their future aged 16. Whilst A levels provide a world class academic qualification, many technical education courses are undervalued by employers and don’t always provide students with the skills they need to secure a good job - that has to change. Naming the first 52 colleges and providers where young people will be able to study the first T levels is an important step forward, and we will continue the work with business and the education sector so everyone can benefit from these vital reforms. Technology and the world economy are fast-changing, and we need to make sure our young people have the skills they need to get the jobs of tomorrow. This is at the heart of our modern Industrial Strategy. Everyone should be able to have access to an education that suits them, but we know that for those that don’t choose to go to university, the routes into further technical and vocational training can be hard to navigate. That’s why we’re making the most significant reform to advanced technical education in 70 years to ensure young people have gold standard qualifications open to them whichever route they choose.